The Lumia 830 is a better value than the 930 . Four reasons : 1) it`s about $45 cheaper ;2) it has a micro SD slot that takes up to 128gb , this is an unforgiveable omission on the Icon l 3) brighter screen with better sunlight performance and 4 ) removable battery not much smaller than the 930`s . If you like taking good pics , you`ll be like a kid in a candy store , so battery life will be an issue. As any power user can tell you , it`s easier to carry a spare battery or two and just slot one in . Plus , if you keep your device at least 18 months as I do battery death is also an issue . Muchhhhh easier to just slot in a new one ! I wish for a phone with 3:4 display ratio, rounded top and bottom and at most 1 cm thick. The display should have about 3.7" diagonal and 600x800 resolution. Is there a phone like this? If not, can someone make it for me? There is one and rather important thing that this comparison article omits. Repairability and warranties. The Samsung phones (at least the Galaxy S and Note series) have the highest repairability and they offer 2 years of warranty in most countries. HTC is notorious for low repairability and LG phones are also rather disappointing in this regard. Products by Microsoft, even those "profesional" branded products only come with 1 year of warranty. Repairability means that you can either fix things yourself or, if you're past warranty or the failure isn't covered by warranty (such as broken glass) the costs of such services won't be so high and there is actually a chance that the repair costs are lower than a new phone. What an ignorant comment. I`ve had an Xperia X10, iPhone 4, Galaxy s2, Galaxy s3, a HTC One and now the One M8 and I can assure it is the best phone money can buy right now. No lag at all, premium build quality, amazing sound, great camera (even with a lower resolution). It is clearly a well-polished product. Use one before commenting as you made clear you haven`t. Anonymous, 02 Dec 2014Of all the things in this article, kudos ot gsm arena on how you explained on the phones which... moreYet the One M8 was voted phone of the year at the Mobile Choice Awards, and voted the best on T3, and Techradar. Lg G2 is the best there can be , I can't believe is so cheap now . It's worth more if you ask me . Just find one in white and you'll just fall in love . Knock ON and the led on the back that illuminates when you speak (all people are looking at you on the street , especially girls ;) ) are my favorite , very very awesome and I regret that G3 doesn't have the led anymore . 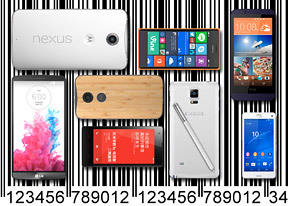 Galaxy s4 is also a contender for this list, as it comes at a bargain price now. I got one for equivalent of $ 290, off contract. And I am using it free of any trouble. Expandable memory was a must for me. Great value for money IMHO. Of all the things in this article, kudos ot gsm arena on how you explained on the phones which didnt make it on the list. The reasons to me are very valid. Its easy for someone to suggest his/her favourite phone to be number one but most of the users do not imagine how hard is it to make the list from all types of smartphones on earth. Anonymous, 29 Nov 2014You have no idea what Ultra pixel is right? He has a much better idea about this than you. You excluded m8??? That's just not acceptable.. it's the best phone of the year.. I guess whoever wrote this segment had no idea about phones.. GSM expected better of you'll.. Disappointed..
AnonD-274519, 30 Nov 2014Well, the UltraPixel camera is just disappointing for the M8's price.I dont accept with u..
AnonD-295521, 29 Nov 2014The exclusion of HTC one M8 is unexplainable. It's the best android device till date. I curren... moreWell, the UltraPixel camera is just disappointing for the M8's price. The exclusion of HTC one M8 is unexplainable. It's the best android device till date. I currently use M7 & this phone is a beast superfast, zero lag, great battery. Which itself is inferior to M8. Just metal unibody & speakers?? Well it definitely has got more than that.